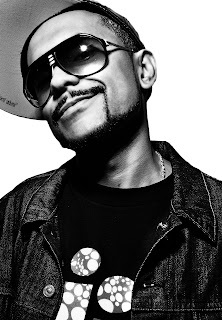 To celebrate his appearance in Fabric on 12 June 2009, Dj Craze invites all of you to listen to his brand-spanking-new mix. 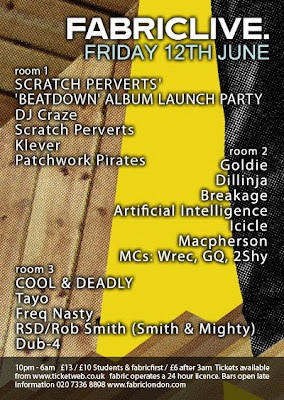 He will play alongside Scratch Perverts, Klever, Patchwork Pirates with other big names represented in other rooms. The tracklist of this mix is stellar. I will just use three words: eclectic, bouncy and bass-heavy. He somehow managed to combine all the best tracks and remixes flying high (my subjective view at least) recently in the blogosphere and prepared a tasty mish-mash of electronic soundz, starting from the best electro track in history (again my subjective view) - i.e. Dominator, here in Herve's refix, through artists you'd see regularly on the roll in such mixes, i.e. Major Lazer, L-Vis 1990, Jack Beats Jack, Hostage, DZ, Foamo to Buraka Som Sistema. Don't sleep on it.